Knowing how to listen is essential to learning, growing, and getting along with others. 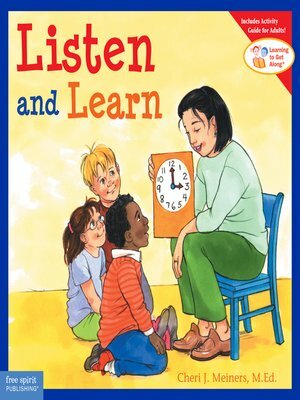 Simple words and inviting illustrations help children develop skills for listening, understand why it's important to listen, and recognize the positive results of listening. Includes a note to teachers and parents, additional information for adults, and activities.